It all started on Sunday with lots of toing and froing between the house and the trailer. Somethings was definitely afoot. I was a little worried until I saw my travel bag with food and toys headed out to the trailer. All is good - I was going somewhere. mmm - there are no planes being loaded into the truck so maybe we are going for some R&R. We headed out Monday morning. 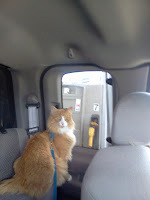 The road was really bumpy so I wasn't comfortable on my usual spot on the console. The back seat was much more comfortable for sleeping. 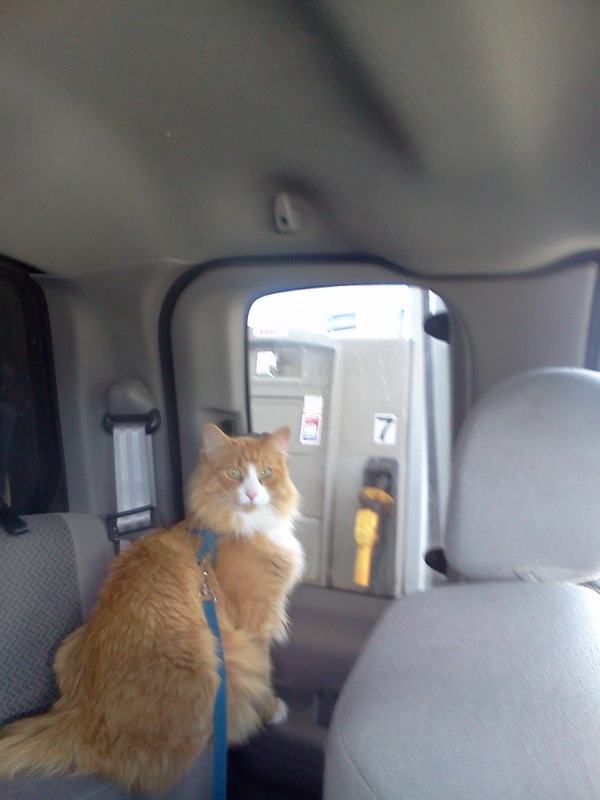 'Course there were interruptions in my sleep cycle so we could stop for gas! We got to our camp mid-afternoon. There were lots of bushes and trees with lots of rustling in the bushes. It IS a good campsite - I caught my first mouse within the first 3 hours. There is a little path that the mice use to go from one clump of bushes to another. Mum and Dad seem to think that it should be catch and release. I suppose that makes sense seeing as we are in a provincial park. 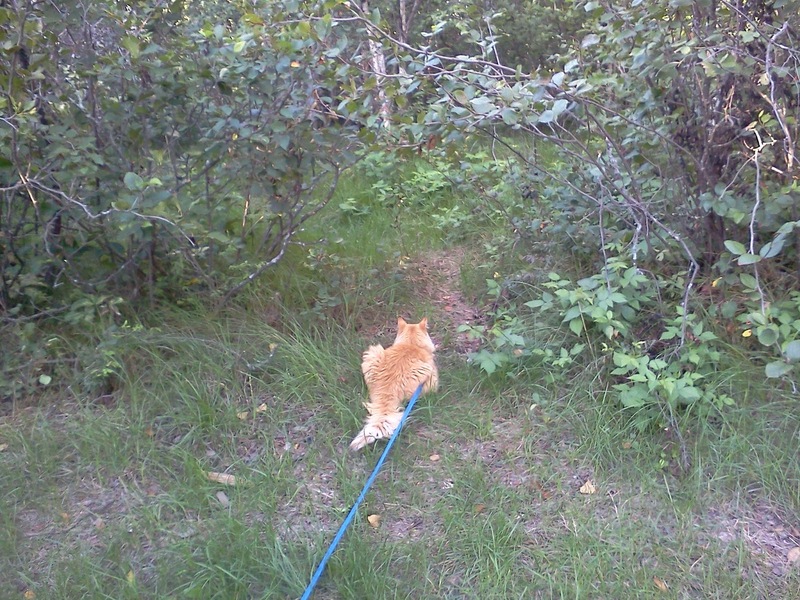 Alex was concerned that I would go to Kitty jail for harming wildlife in a provincial park. Ooops - it looks like we forgot to pack the add-a-room. No problem for me with my nice fur coat and tail to wrap around me if I get cold. Mum will get a little whinny if the evening is chilly and there is no tent heater! All in all it was a good two days. 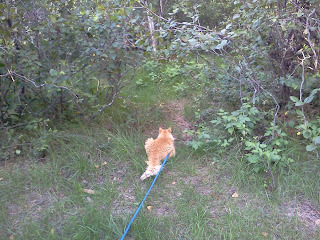 Lots of very bold squirrels to track, mice to catch (and release). The squirrels were interesting. They would eat the ends of the pine trees just like corn on the cob! There was even a rabbit that kept me glued to one spot for two hours.